Plaid made a major comeback for Fall 2013. Collections like Saint Laurent, Marc for Marc Jacobs, and Milly sent models marching down the fall runway looking pretty badass in plaid. This pattern can be pretty tricky to pull off since it can go matronly very quickly. To avoid looking like your librarian from grade school use techniques that the designers used. Incorporate harder pieces like leather or boots. Even a chunky sweater or coat can help elevate the matron feeling, especially when doing a pencil plaid skirt. Beanies and chunky sweaters are my go to for adding a bit of a grungy edge to a look. I've had a H&M pencil skirt in my closet for years now, it was one of the first pieces I bought when I joined the working force. I broke this skirt out again after it being buried at the bottom of my draw for sometime now. Every time I wore it it reminded me of my old Catholic School days, so I decided to take some of the school days away by pairing my favorite T by Alexander Wang sweater, Shoemint boots, and my new go to Forever21 Beanie. I love that pairing up these easy go to essentials it took it from librarian to street style. 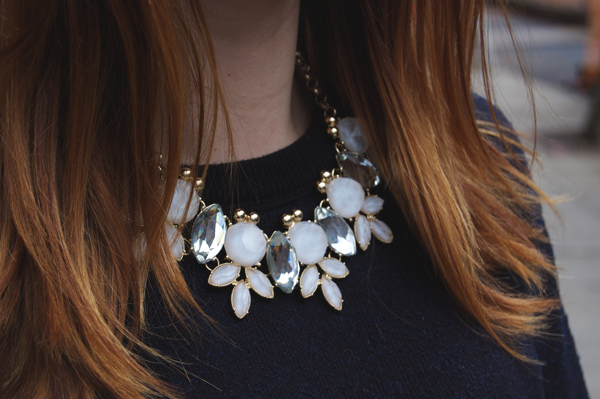 Added a bit of sparkle to the look by wearing a statement maker necklace. 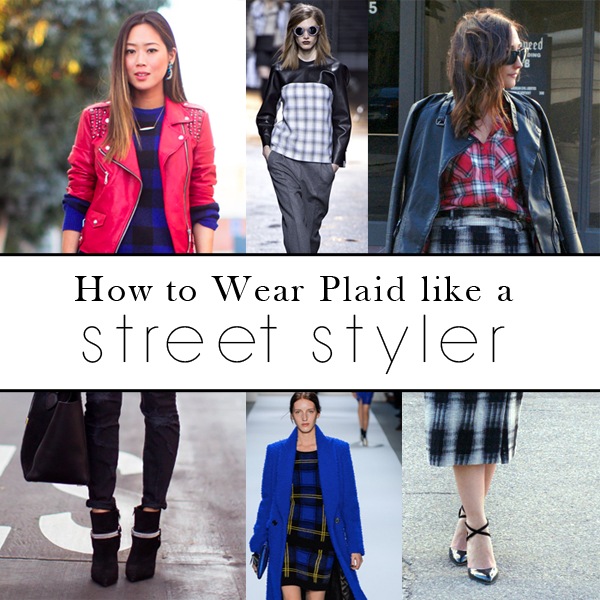 How do you wear plaids? First, I love you in plaid. I think the addition of the beanie makes the look spunky and fun. Second, I enjoy seeing my pic in this post... It is good to know that I am inspiring someone! You look awesome! 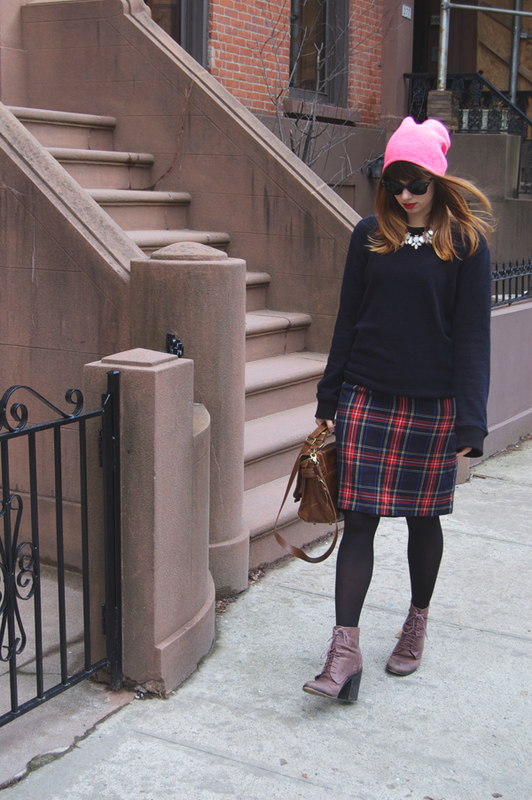 I love the plaid paired with the neon beanie, too cute! I actually just posted a plaid look on my blog today too! Love how you did that plaid and the leather bag, very nice together. That phillip lim top photo though, that leather and plaid top is my absolute favorite from that season! You look so pretty! Right now I only have 1 plaid shirt which I like to combine with denim or pants, but I definitely wanna get more plaid in my closet! Obsessed with that skirt!Great post,honey!